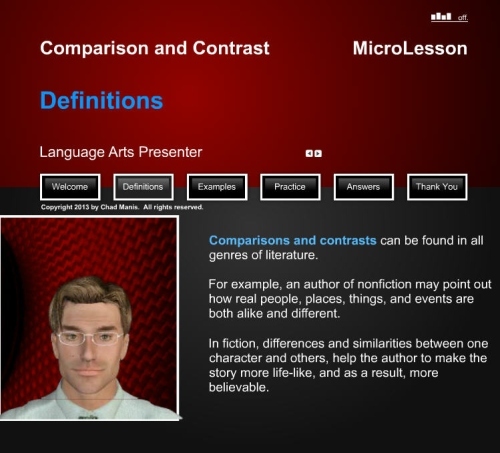 Comparison and Contrast is one of the 30 MicroLessons (mini lessons) available in the series, Language Arts Presenter. 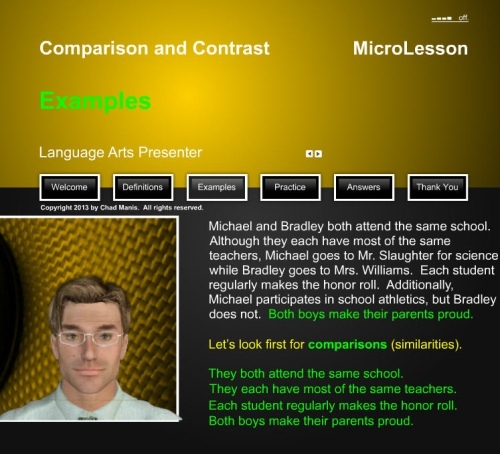 Just connect your computer to a digital projector or SMART Board, select a student to operate the mouse and let Peter, the avatar, teach your kids a lesson on Comparison and Contrast. 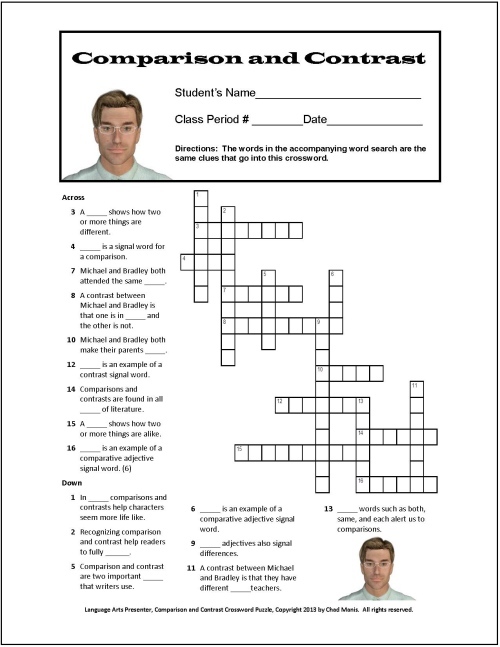 Comparison and Contrast, Full Version comes with a word search, and a crossword puzzle. 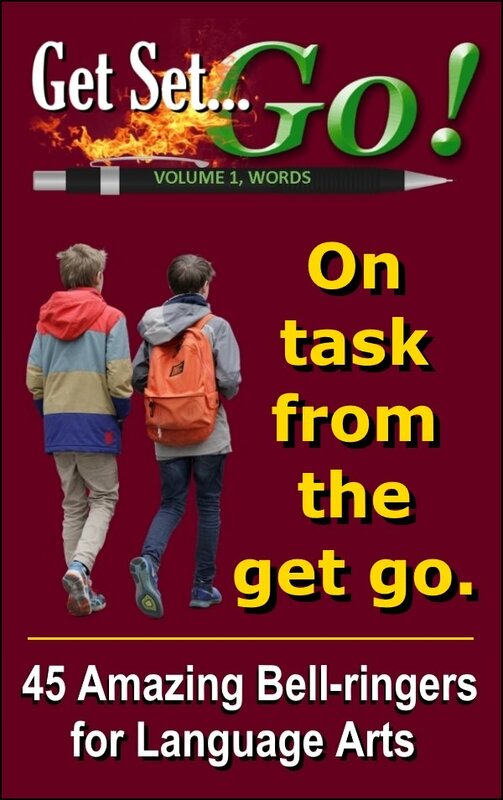 I have thoroughly tested this MicroLesson with actual students in real-life, public, middle school classrooms--the vast majority of students became engaged, responsive, and productive (even the n'er-do-wells). 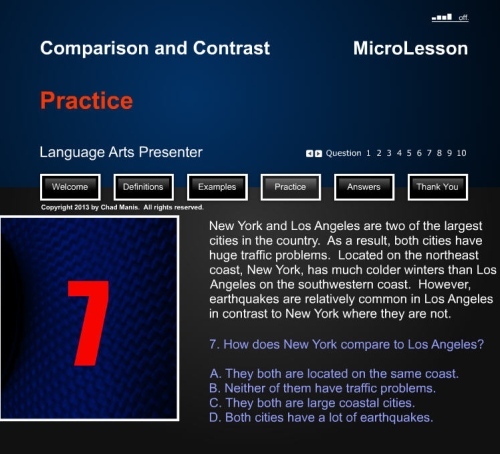 Both of the screenshots below are samples from the instruction portion of Comparison and Contrast. 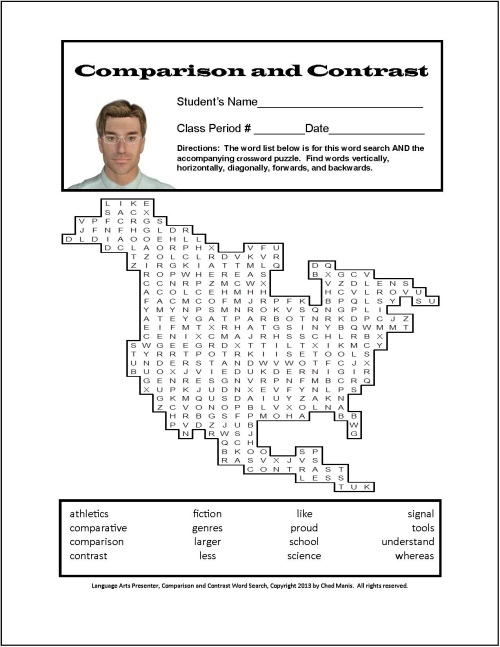 Here is the word search activity for Comparison and Contrast. 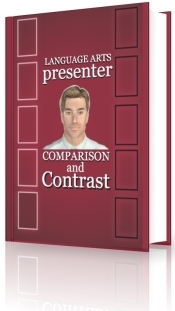 Both versions of Comparison and Contrast are accessible with any of the major web browsers, including Internet Explorer, Firefox, Google Chrome, and Safari. 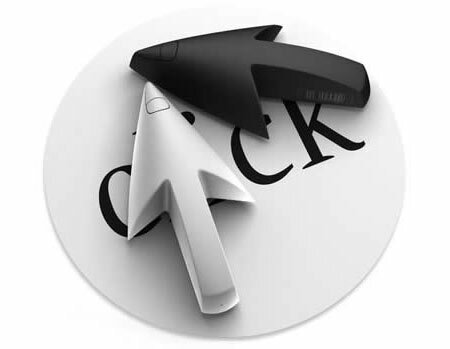 As a result, these apps are compatible with all versions of both Windows and Mac. If purchased individually, the total cost for Comparison and Contrast along with its 6 companions would be $34.65. 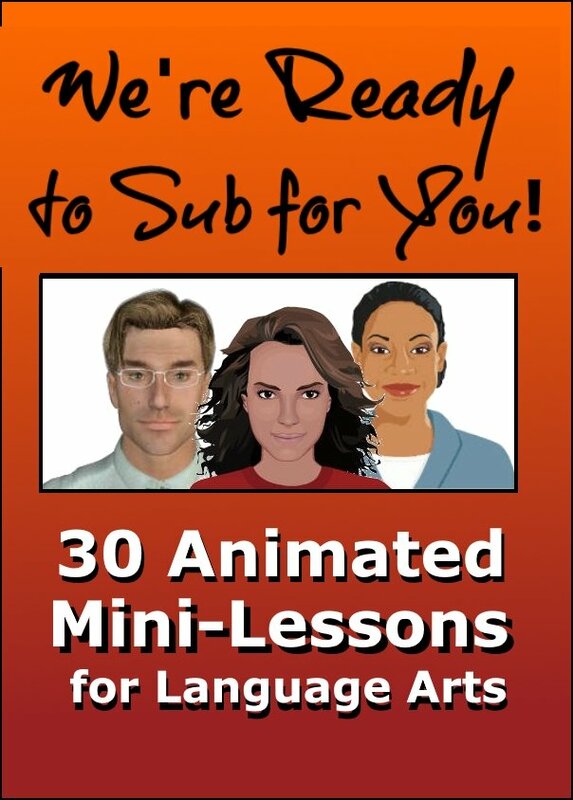 The bundle is now available for the much lower cost of $16.95--a savings of over 50%! 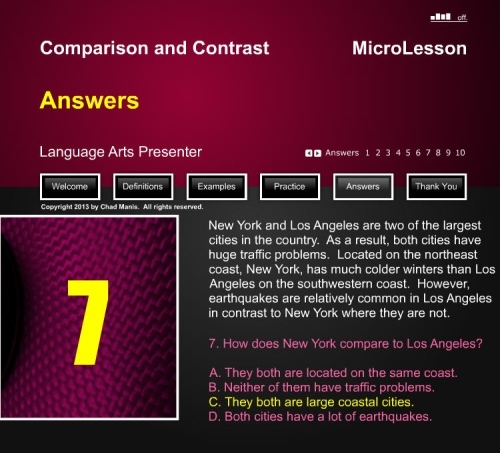 MicroLesson 8: Comparison and Contrast, Full Version by Chad Manis is licensed under a Creative Commons Attribution-NonCommercial-NoDerivs 3.0 Unported License.